CBI director Alok Verma was sent on leave last October after a bitter feud with agency’s No. 2 Rakesh Asthana over corruption allegations. 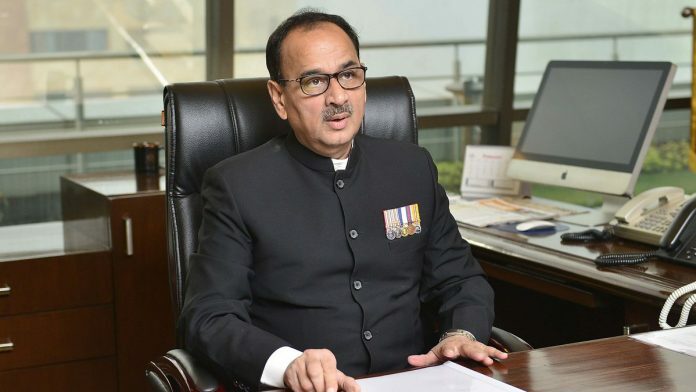 New Delhi: The Supreme Court Tuesday backed CBI director Alok Verma in his plea against the Narendra Modi government’s decision to send him on leave and hand over his powers to another officer. In its decision, pronounced in open court by Justice S.K. Kaul, the bench reinstated Verma and thus ruled against the Centre’s move to divest him of his position last October. The court, however, restrained him from taking major policy decisions. Chief Justice of India Ranjan Gogoi, who headed the bench and authored the judgment, was on leave Tuesday. The court said the high-level panel comprising Prime Minister Narendra Modi, CJI Ranjan Gogoi and Leader of the Opposition in the Lok Sabha Mallikarjun Kharge will decide on Verma’s future. They have been asked to meet in a week. “If the legislative intent was to allow interim measures against CBI director, statute would have spelt it out,” the court said. “Court cannot be oblivious to the directions contained in the Vineet Narain judgment,” it added, saying the word “transfer” cannot be given its normal meaning. “It must be understood as all acts affecting the functioning of the CBI director, it added. The top court added that the intent of bringing the directions in its Vineet Narain judgment into the statute book was to ensure complete insulation of the CBI director’s office. The bench delivered its verdict on a batch of pleas filed by Verma and NGO Common Cause, barely 20 days before the former’s scheduled retirement on 31 January. The former Delhi Police Commissioner was appointed as the director of the premier probe agency in January 2017 for a two-year period. However, he was asked by the government to go on leave three months ago after a bitter feud between him and CBI No. 2, special director Rakesh Asthana. On 6 December, the court had reserved its verdict on Verma’s plea challenging his ouster and sending him on leave. It also heard a plea by Common Cause seeking a court-monitored special investigation team (SIT) probe against several CBI officials, including Asthana. In his plea, the ousted director submitted that Asthana, who has also been asked to go on leave, interfered with the investigations in certain cases. Verma also appealed for insulation of the country’s premier investigation agency from the Centre’s influence. “As the CBI is expected to function completely independently and autonomously, there are bound to be occasions when certain investigations into high functionaries do not take the direction that may be desirable to the government,” he submitted. “Over the recent past, although all functionaries within the CBI from the investigating officer and the superintending officers up to the joint director and the director have agreed on a certain course of action, the special director has been of a different view,” his plea read. During the course of the hearings, the court questioned the government over its hurried moves to divest Verma of his role, and directed the Central Vigilance Commission (CVC) to complete its inquiry against him. The court also sought to know why the Centre did not consult a larger panel before taking the decision. Representing the Centre, attorney general K.K. Venugopal said that the dispute between the two officers was “pulling down integrity and respect of premier institution”. “They were fighting like Kilkenny cats,” Venugopal said, adding that this situation necessitated the government’s intervention.